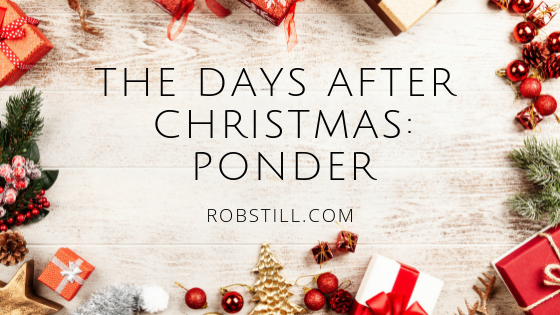 This is a devotional for the days after Christmas Day … or thereabouts. In America and much of modern western culture, the Christmas season has degenerated into a predominately secular affair with start and stop dates defined by a marketing calendar. According to this cultural norm, after the big day, the Christmas season is officially over. Not that there’s anything wrong with that …. I like all that stuff, kind of. But, there’s a lot wrong with shutting down the Christmas spirit the day after. No wonder people get the Christmas blues. To declare “Christmas is over” the day after Christmas is kind of like having a huge wedding, then the next day saying, ‘we’re all done with this wedding celebration, time to get back to regular life” and acting as if nothing significant had happened, or that life would be any different. No, that’s what the honeymoon is for – to enjoy the beginnings of the marriage, and to transition into a new life of two becoming one. Sidebar. My bride and I had a great honeymoon back in the day. We lounged on the beach for a whole week. One year later, we returned to the same location (Nags Head, North Carolina) to celebrate on our first anniversary. That was … a long time ago. 🙂 Just thought you might like to know. But I digress … back to Christmas season. The liturgical church and Christian year calendars designate the 12 days between Christmas day and the day of Epiphany (January 6) as “Christmastide” (or “Christmas Time”, or Twelvetide). Historically, it was intended to be a time of celebration and feasting. During this Christmas Time we reflect, contemplate and re-imagine the significance of this amazing, earth-shaking, history-making, life-changing, cosmic global event. This is a big deal. In fact, the biggest of deals. Take time to let it impact you. Consider the purpose of the Christmas carol “The Twelve Days of Christmas”. What’s the big idea? To highlight the joy of Christmastide by singing a looney tune describing a daily dose of zany gifts that become progressively more and more over-the-top. Partridge in a pear tree. Five gold rings. Twelve drummers drumming. Etcetera … you know the song. My point is, I’d like to encourage you to keep the meaning and spirit of Christmas alive in your heart. The joy of Christmas does not have to be over because December 25 is behind us. Enjoy this season in its entirety. In the account of the birth of Jesus in Luke chapter 2, Mary and Joseph had a very long day. They made a long journey, endured a frustrating search for a place to stay, and then, the barn where they landed was a humbling maternity ward, to say the least. Later, there was massive action going on, Mary gives birth accompanied by the sounds and smells of barnyard animals. Then, angels choirs exploded in song in the heavens, alerting all the local shepherds to show up at the manger and spread the word. I don’t know about you, but in the households I’m most familiar with, having a flock of uninvited guests arrive at your bedside, especially right after giving birth, might stress out certain maternal family members. If I was in Mary’s shoes, I would have felt exhausted and overwhelmed. If you’re feeling overwhelmed and exhausted, consider her response. Stop. Breath. Notice. Appreciate. Contemplate. Experience the mystery and wonder of it all. My friend, God is at work in your life, whether dramatically or invisibly. Think deeply about that. My prayer for you this Christmas season is that you would notice and treasure His activity in your world, and ponder all these things in your heart. May you continue your journey with the power of Christ in you, the hope of glory. That’s why He was born! Celebrate the season with my Christmas music project, JOYFUL! 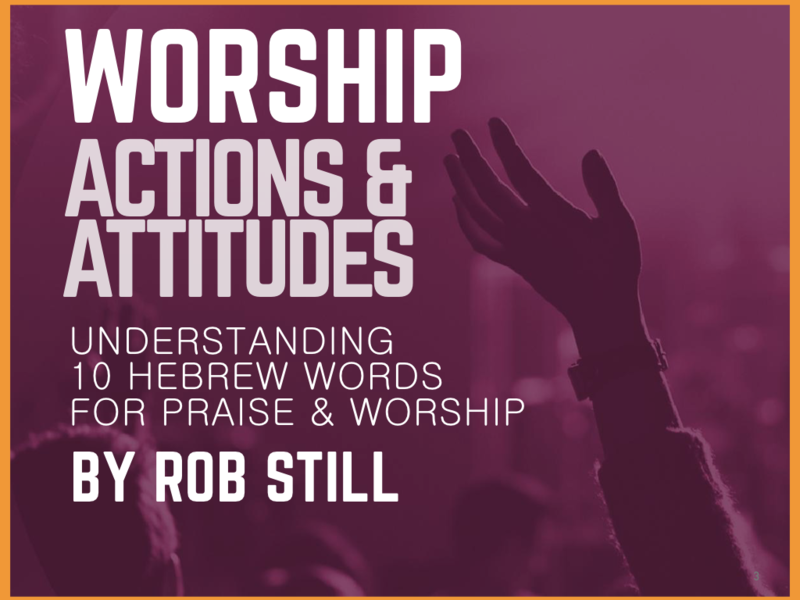 : Christmas Praise and Worship, available on iTunes, Amazon, CDBaby and Bandcamp. To support our ministry and missions work, partner with us.